A "friendly witness," Warren Sonbert (1947-1995) holds a unique place in American independent film. On one hand he shows the distinct influence of Hitchcock and the Hollywood melodramas of Douglas Sirk, and on the other he was a rigorous avant-gardist. Combining breathtaking photography with some of cinema’s most complex montage editing, he created an exhilarating body of work – compassionate meditations on global humanity that are visually sumptuous and structurally brilliant. 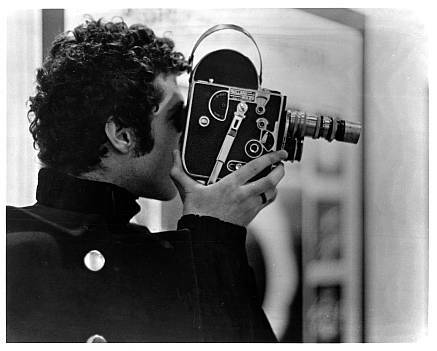 Sonbert's films have been the subject of retrospectives at the Guggenheim Museum and other institutions, but remain available only in 16mm prints and are too rarely screened. Atlanta Celebrates Photography and Film Love present three nights of films by this crucial figure of the American avant-garde. Human coupling – the dynamics of communication, romance, and desire – was a theme to which Sonbert returned again and again. Program three pairs two films from opposite ends of his career devoted to this theme: Honor and Obey, in Sonbert’s prime late style, and The Bad and the Beautiful, a restored early film set to (once again) an effective popular music soundtrack. Also screened are films by two of Sonbert’s influences, Stan Brakhage and Marie Menken. WARREN SONBERT: FRIENDLY WITNESS AND OTHER FILMS is a Film Love event, programmed and hosted by Andy Ditzler for Frequent Small Meals. Film Love exists to provide access to great but rarely-screened films, and to promote awareness of the rich history of experimental and avant-garde film. Film Love was voted Best Film Series in Atlanta by the critics of Creative Loafing in 2006, and was featured in Atlanta Magazine's Best of Atlanta 2009.